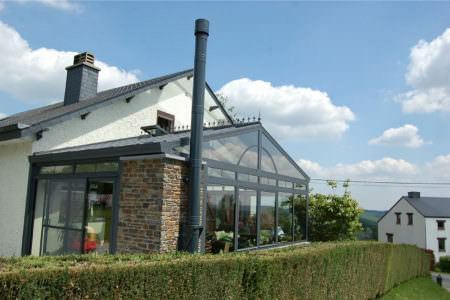 Aluminium French doors are a superb addition to any home. They combine attractive good looks with high quality hardware for strength, security and ease of operation. 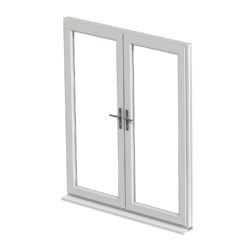 Arrange a free no obligation aluminium French door quote online. Add a touch of contemporary style with beautiful Aluminium French doors. 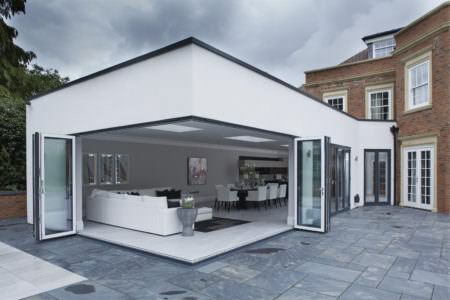 These aluminium doors are super sleek, modern and can be designed to suit almost any style of home. The innate strength of aluminium French doors means they can be designed with ultra slim sightlines, resulting in more glass and more natural light. You can make your French aluminium doors unique with a wide range of aluminium RAL colours for your door as well as a stylish choice of handles. You can even opt for a dual colour option of having different colours on the outside and interior. 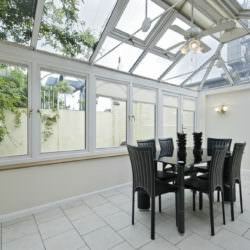 Aluminium French doors are polyester powder coated to provide a durable and strong finish. This attractive and versatile finish is also weather resistant so will retain its classic good looks. For wheelchair users low thresholds can be specified so that your aluminium French doors comply with Part M of Building Regulations. Aluminium French doors are made to measure with a high security locking cylinder to keep your home secure. 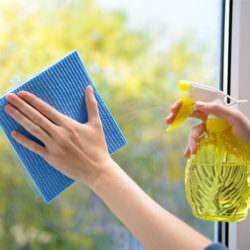 A simple wipe clean with a damp cloth is all that is needed when it comes to looking after your French doors. Aluminium is highly resistant to elements and is not likely to warp or rot. 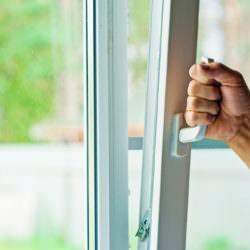 The life expectancy of an aluminium French door can be up to 25 years or more, far exceeding that of timber or UPVC. Aluminium is also a sustainable alternative as its 100% recyclable. 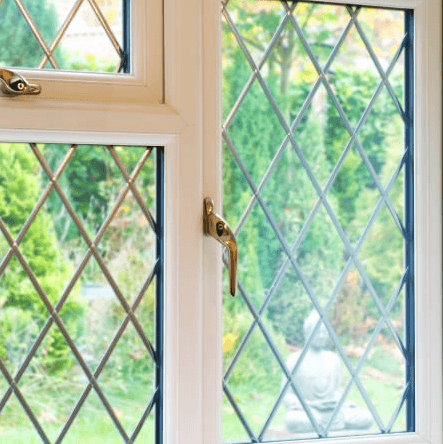 There is a wide range of glazing options to choose from which include stained, patterned or leaded style glass as well as an option of Georgian style bars to complement the look of your home. 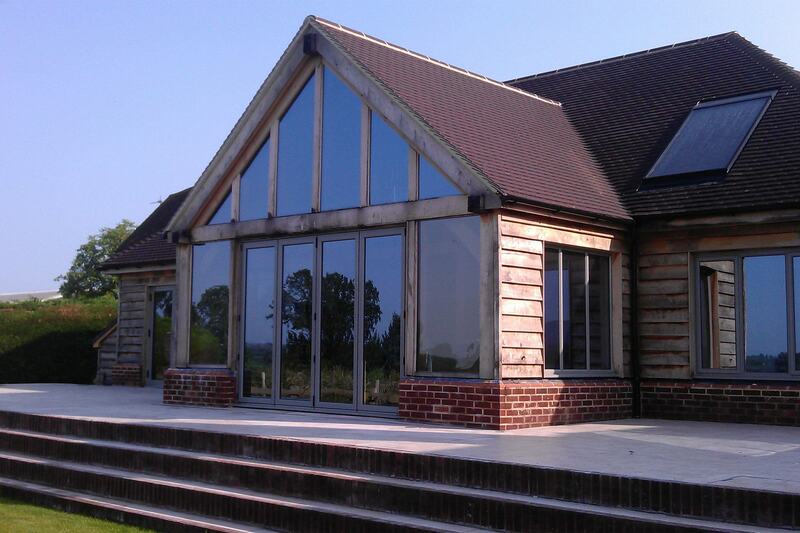 Aluminium French doors offer high levels of energy efficiency ensuring your home is kept comfortable all year round. 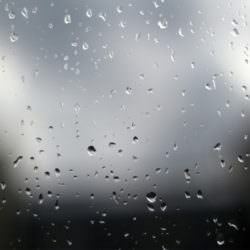 Double glazing also offers a great acoustic performance, keeping outside noise to a minimum. 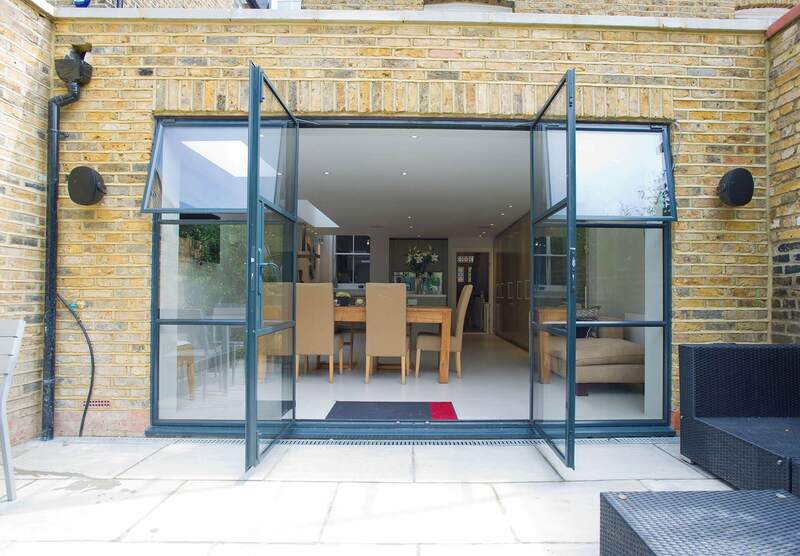 You can expect a high performance each day with these durable Aluminium French doors. They have been designed with tough and durable hardware so that they can withstand everyday use, no matter what the weather. 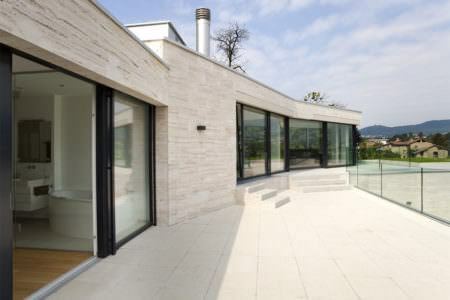 Aluminium allows use of a wide range of profiles, frame depth, optional finishes and hardware. 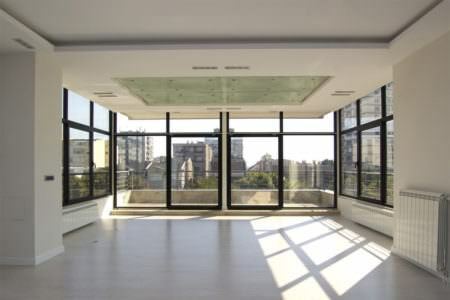 You can always find an aluminium French door to suite your style and taste. 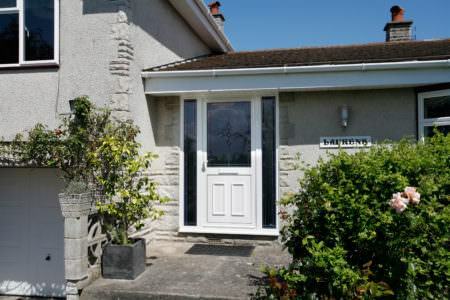 Aluminium French doors can be a stunning replacement for a standard back door. You might be tempted to opt for uPVC but in fact, aluminium French doors can be much stronger, slimmer and far more stylish. They are fast becoming the must-have home improvement for newer properties. Their sleek, sophisticated design fits well into modern settings, complementing contemporary looks. Create more light with aluminium French doors. Their slim framework allows for a greater glass area, enabling light to flood into your room and brighten up your property. This expansive glass area also gives a better view of the outdoors, creating a seamless link between your home and garden. This can be perfect for summer garden parties – what better entrance for a family BBQ? Many homeowners think aluminium is reserved for commercial properties but this isn’t the case. There is a massive residential aluminium door market which offers a vast range of French doors for modern and traditional homes. Residential aluminium doors are often recommended to those seeking slim frames because as of yet, no other material has been able to out-do their impressive sleek profile. Aluminium’s innate strength means it can be moulded into any shape or size. 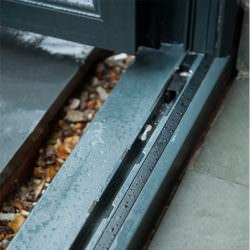 Aluminium back doors such as the French door, will keep you property incredibly safe. The aluminium profile is exceptionally strong and this, combined with a high security locking mechanism, will ensure the back of your property is kept very secure. You can request an aluminium French doors quote by filling out the form below. We have a nationwide network of accredited aluminium suppliers and installers who will be able to offer a competitive aluminium French doors price.